2014 has been a very good year. A year when I achieved personal and professional aspirations. Over the years I stepped out of my boundary and wrote 55 fiction, prose and (to my surprise) poetry. I am astonished to see I have written 36 poetry (3 categorized in "A few Lines") I love writing poetry however it's the spur of the moment when the words flow out, if I decide and sit to write one, the words refuse to appear no matter how much I try, maybe that is it...poetry is about spontaneity! There were times of black out, when I struggled to write. Many ideas were born and died in my head. Many a times I started with draft but could not finish (at this moment I have 66 drafts). Writing fresh is always easier than pulling up old drafts and try to complete it. During these diffucult times, Blog-a-ton, monthly prompt helped me. During the end of the year, I teamed up with some wonderful fellow bloggers Amita, Shashank, Karan & Brinda and started a Facebook Page 'Wings of Change' for aspiring writers. 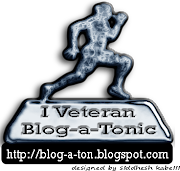 It helped me in keeping my blog active. I urge all my readers to join our initiative. I bought Kindle Paperbook (one of my treasure). I realize it has helped me reading more books this year. I got hold of reading short stories and downloaded a few from Project Gutenberg. I dont have any target but I hope I double (at least) my read count of 2014. I visited Kinnaur in Himachal Pradesh in March end (a trip which we had to cancel in 2013) and Jaipur in December. I wish all my readers a very Happy New Year, May all your good wishes and mine ;) come true in 2015! Written for Prompt - Recreate yourself in 2015 by Wings Of Change. Happy new year and definitely there will be many more posts this year and I know they are going to be superb Megha :) Best Wishes! Congrats! :D :D Keep writing! Keep going!